All mariners know that ice is a hazard to the ship’s outer hull structure and waterproof integrity. What most mariners don’t know is how close they are to damaging their ship when operating in ice. Aker Arctic’s Ice Load Monitoring System (ILMS) provides ice navigators added confidence to safely utilize their vessels’ full potential, enabling operations not otherwise possible. Ice navigators typically have no qualitative indication of how close to the structural limits they are operating their assets. Mariners experienced with ice operations develop an intuitive feel for this over time. However, operators new to working in ice or that that only occasionally operate in ice have not had an opportunity to develop this intuition. Therefore, mariners must necessarily operate conservatively in order not to risk damaging their vessels. ILMS improves the operational safety, accountability, and efficiency of shipping operations. Improved safety is achieved through an on-bridge interface, which provides real-time feedback of the current operating status. 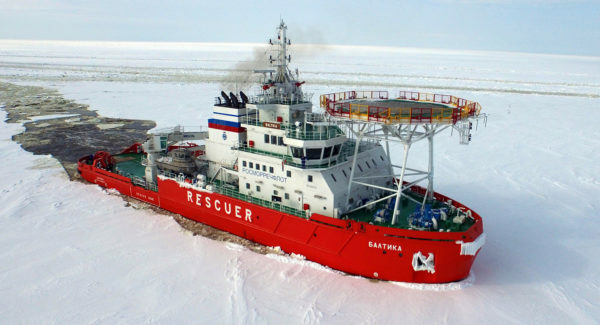 ILMS uses a unique prediction tool developed by Aker Arctic, to forecast risk when the ice loads reach critical levels, allowing ice navigators to take preventative actions. Integrated online monitoring and logging allow shipowners to monitor their assets and can be used to justify suspending operations if conditions become unsafe. Data retrieved from the ILMS can be used to conduct post-event and seasonal analysis, allowing clients to better understand their operations and refine operational procedures improving efficiency. Monitoring – Data logging, seasonal and user specific analysis. Currently we are also developing propulsion line monitoring, which will be integrated into our ILMS. Ice load monitoring also has potential application for autonomous vessels to monitor ice condition during operations in ice.